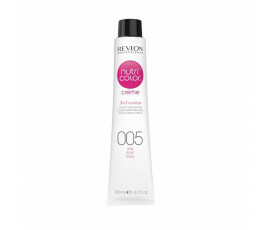 Revlon Professional Nutri Color Creme is an instant colour product line that provides a real hair nourishment: its concentrated ionic colour pigments settle on your hair providing a smoothing and antistatic effect, through an electrostatic connection with hair fibre. 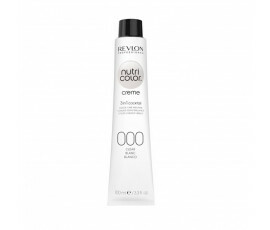 Nutri Color Creme is a 3-in-1 product that renews your colour-treated or natural hair - it does not contain ammonia or peroxide. 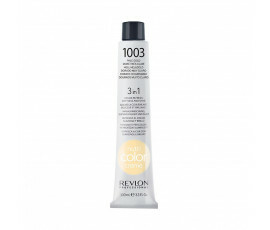 Your hair will be shiny and soft-to-touch, your colour will be perfect from roots to ends. Enhances your colour while repairing it. 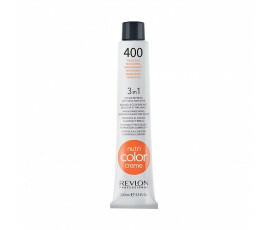 Softens while nourishing your hair and detangling it without weighing it down - well-balanced Ph for a total respect of your hair. 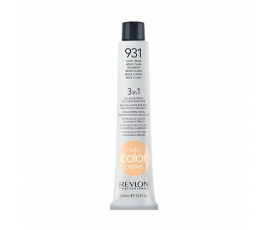 Shines while polishing your hair cuticles in just 3 minutes. 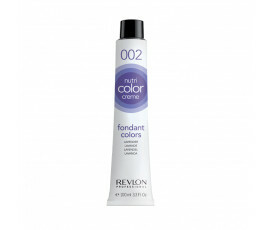 Discover your creativity with the 5 temporary nuances of NCC Fondant Colors range: try on your hair the amazing effects of innovative fantasy shades and pastel-coloured tones. A small quantity for a maximum effect!